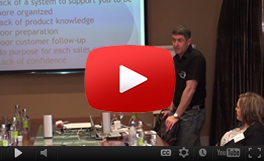 Home / Sales Training Tips / SALES ENABLEMENT – What is it and why do I need it? 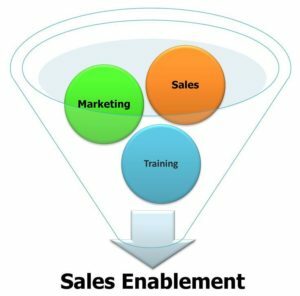 SALES ENABLEMENT – What is it and why do I need it? Anyone involved in sales will have noticed how sales has evolved over the years. In the 70s and early 80s, it was all about manipulation and closing single transactions. In the late 80s and early 90s it was about solution selling, where sales people, searched for ways to solve challenges at their customers. In the late 90s and early 00s, sales were driven by identifying the right solution for customers, with the added desire to build a long term mutually beneficial relationship with customers. This has now evolved even further to a place where sales people, today need to integrate into their customers businesses, where they become an additional resource to them. All the above changes have resulted in sales professionals, now encountering a far more complicated sales process. This more complicated sales process requires a different approach, where sales people focus on the buying process, rather than ways to move sales to completion. The buying process itself has evolved too, becoming far more complicated than it was in the past. This has given rise to the need for sales organisations to support their sales teams with a “NEW” process to help them win, grow and retain customers. This need to serve far more complex sales journeys, saw the birth of the concept of “SALES ENABLEMENT”. Developing an effective sales process has evolved over the years. In the past, it was all about equipping your sales people with the skills, tools and methods they needed, to manipulate their customers, so that they could close a single transaction. This evolved over time into a more solution driven approach, where sales people were equipped with the all the tools, skills and systems they needed to identify challenges within their customers businesses and then identify an appropriate solution for them. This has evolved even further, where sales people identified solutions, which would solve challenges for their customers, but they also found ways to build meaningful sales relationships with their customers. Over time this has evolved into a place where Sales Professionals “NOW” search for innovative ways to integrate into their customers businesses and form long term partnerships with them. Developing effective partnerships with customers requires specialised sales tools, training and information, which will help your sales professionals to become an additional resource to their customers. This is a process of providing all stakeholders involved in your selling process with all the tools they need to succeed. The foundation of “SALES ENABLEMENT” is to provide sales professionals with “EVERYTHING” they need to sell more effectively and to help them to build long term partnerships with their customers. “SALES ENABLEMENT” is all about supporting your sales team to become completely focused on the“BUYER” and far less on the sale itself. What should an effective “SALES ENABLEMENT” process contain? It must equip sales professionals with everything they need to deliver an effective proposal, which considers appropriate sales solutions, to help build a partnership with future customers. It must support the “Predictable Sales Process”, to support sales professionals to build connection and show value to their buyers, throughout the sales process. 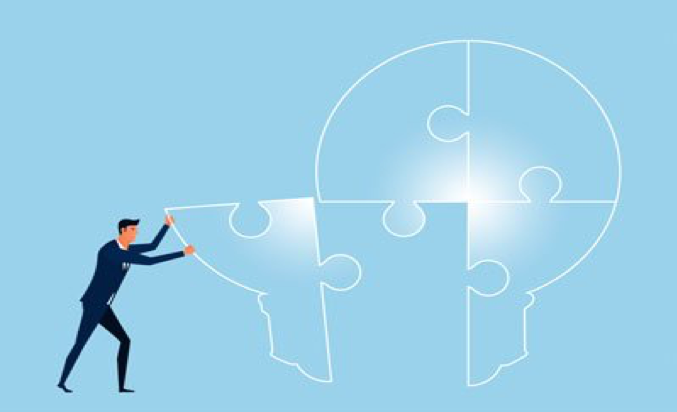 It must be designed to support sales professionals to integrate into their buyers’ businesses, so that they can form meaningful partnerships with them. It must be designed to keep buyers interested, throughout the sales process, so that they can keep provide additional value until the deal is done. It must support sales professionals to remain “Buyer Centric” throughout the sales process, so that sales professionals can engage with them in a meaningful way. 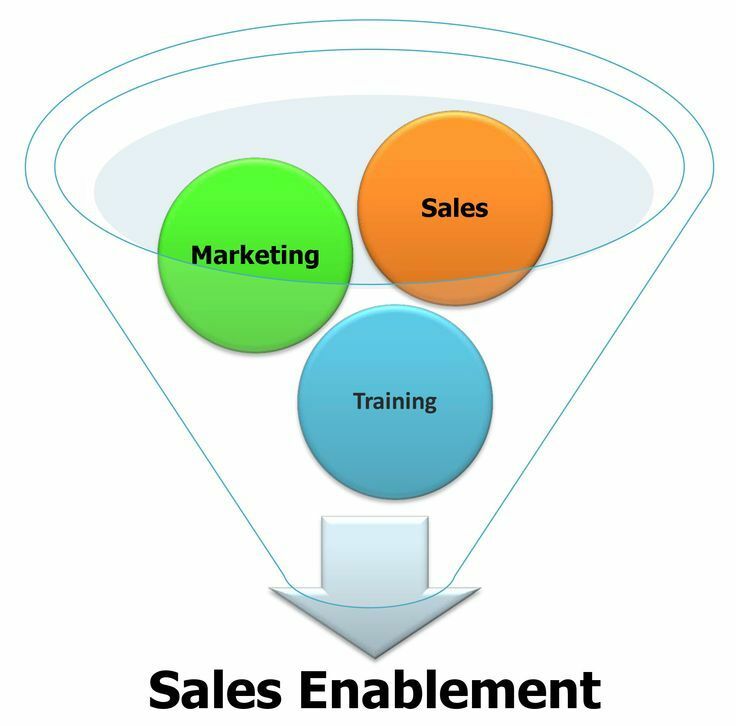 Why is “SALES ENABLEMENT” important? An effective “SALES ENABLEMENT” solution delivers huge benefits, as it allows a large number of sales professionals within your organisation to achieve their sales quotas. This happens because you build a scalable, predictable and repeatable “SALES SOLUTION”, within your organisation, which supports every sales team member to operate optimally. The great news is that when you develop and deploy an effective “SALES ENABLEMENT” solution in your organisation, you are no longer dependant on a mere handful of super heroes, to help you achieve your organisational sales quota any longer. “SALES ENABLEMENT” plays a pivotal role in scaling your sales organisation beyond a handful of “super heroes”. It provides every sales professional with the info and resources they need to add meaningful value to the buyer, so that the sale does not stall. Moving deals through your sales pipeline is all about consistently adding value to the buyer. A road map of all the sales activities they need to perform daily to succeed. Your “PREDICTABLE SALES PROCESS” clearly outlines all the daily activities your sales team members need to perform to achieve the sales success they desire. How can you build effective resources, which will support your sales professionals to show value, commitment, engagement or the willingness to integrate into their customers business and become an additional resource to them? What support do your sales professionals need to keep adding value to their future customers? This support must be in the form of resources to show value, commitment and a willingness to integrate into your buyers’ businesses. Sharing valuable info or data on effective solutions, which will solve challenges or achieve better results. Quantitative information, to show how products or services will save your customers money or time. How do you design an effective “SALES ENABLEMENT” Solution? 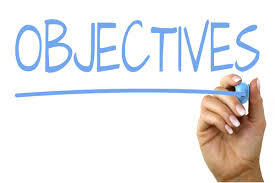 First define the specific “OBJECTIVES” you want to achieve with your “SALES ENABLEMENT” solution. What outcomes do you want to achieve with your “SALES ENABLEMENT” solution? How do you propose engaging your future customers? What info and support is needed to support your sales professionals to integrate into their customers businesses? What additional resources are required to consistently add value to your future customers throughout the sales process? 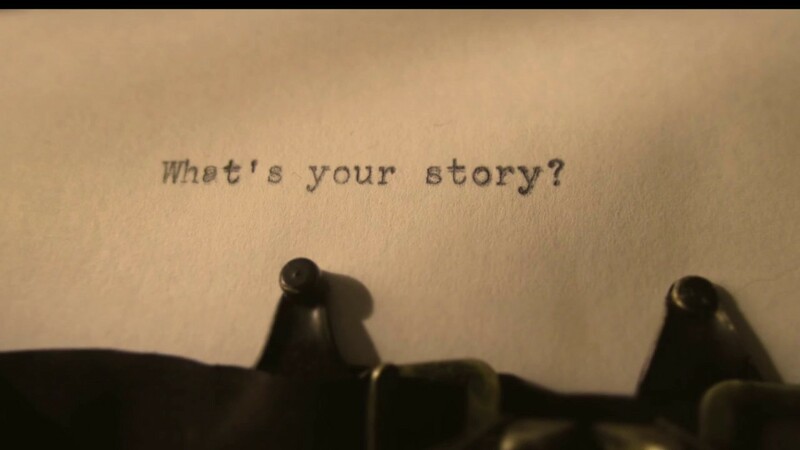 What story should your sales team be telling about your organisation, products and services? Develop effective probing techniques to uncover how your value proposition, connects to each customer’s needs, values and expectations. What sales decks are required to support your sales team to incorporate the new “SALES ENABLEMENT” solution into their sales day? 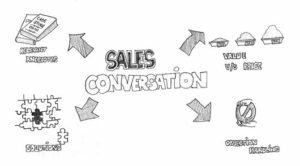 What resources, info, content and materials will support more effective sales conversations with their customers? What measurement criterion will be monitored to evaluate progress and how well your sales team members are using the “SALES ENABLEMENT” tools and processes. Develop checklists to support your sales team to integrate the new “SALES ENABLEMENT” solution into their sales day. When designing your own “SALES ENABLEMENT” solution, make the buyer experience the focal point of everything you do. Buyer engagement is the foundation of any “SALES ENABLEMENT” solution. Develop resources, content and processes to support your sales team to engage buyers throughout your sales process, so that they can see that you are there to add value, not just close sales transactions. Clearly define all the daily/weekly/monthly activities your sales professionals need to perform to ensure that they engage buyers and keep adding value to them. Your “PREDICTABLE SALES PROCESS”, is a documented, clarified and systematic guideline for your sales team, to follow on a daily basis. This guideline clearly defines all the steps necessary to take a future customer from a prospect and convert them into a long-term partner. It is effectively a how-to process, which defines the steps and stages your sales team needs to follow, on a daily basis, to help them to build meaningful partnerships and close more sales. Your “PREDICTABLE SALES PROCESS” gives your sales team a road map, to guide them to perform all the right daily sales activities, necessary to help them to integrate into their customers businesses and achieve their sales targets. Your “PREDICTABLE SALES PROCESS”, is a documented, clarified and systematic guideline for your sales team, to follow, which will help them to keep deals alive and moving through your sales pipeline. It is effectively a how-to process, which defines the steps and stages your sales team needs to follow, on a daily basis, to help them foster meaningful partnerships with your customers. This new sales process will help your sales team to not only integrate into your customers businesses on an ongoing basis but will also help them to close sales. A road map, to guide your sales team to perform all the right daily sales activities, necessary to help them to build meaningful partnerships with your current and future customers. A documented outline, which defines all the activities needed to close more sales. Good quality well thought out content, which can be used in a multitude of different formats and places, to show value and support buyer engagement, is crucial. This content will be used to write blogs, which can be found online by prospective buyers. It can be used to write e-zines, which can be sent to buyers to show value and educate buyers. Great content becomes the “Force Multiplier”, which is used by your sales professionals to engage buyers, add value and show how you will integrate into their business, thereby becoming an additional resource to them. Well-designed content can also be used to run webinars, to allow your organisation to reach multiple prospective buyers at once. Posted as articles, which prospective buyers read. Posted on the 100 groups you can join on LinkedIn. This puts info in front of multiple prospective buyers of your product or service. Using video, you can show how your organistaion solves challenges, saves money, improves efficiencies and reduces costs. You will need to develop a new SALES DECK to support your sales team to start delivering a better narrative. What is the reason your organisation exists, in the first place? This approach stops you from focusing on products and instead supports you to start telling a story around how, by utilising your organisations products and or services, your customers will be able to optimise their return on their investment. Telling stories, which focus on how your customers will benefit from working with your organisation, will help your sales team to focus on an actionable story, which will clearly show how your customers will directly benefit from working with your organisation. The sales decks you develop must be dynamic and interactive. 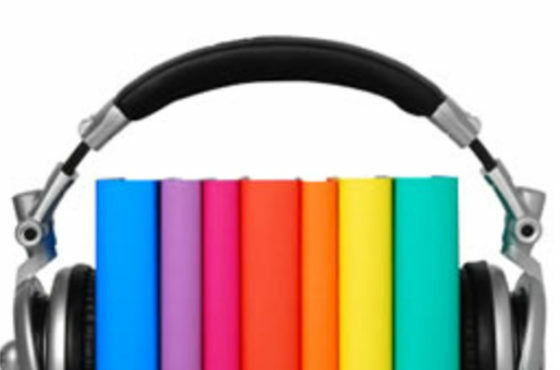 Deliver your new storyline, in a way that your customers can see exactly “WHAT IS IN IT FOR THEM”. Connect with your customers and show them future trends in the markets you serve, specifically any changes around the optimised efficiencies, cost savings, improved profitability or optimised solutions. Show your customers any shifts that are occurring and how these will affect them and their organisations. Show your customers that by adapting to the trends in the market, they will enjoy a positive outcome. Show your customers success stories, where similar customers achieved improved ROI. Show your customers the benefits associated with choosing your organisation, as the supplier of choice. This must be a financial benefit, in the form of optimised efficiencies, energy saving projects and processes. Show your customer the improved future state that they can expect, after they allow you to integrate into their business and support them to optimise their ROI. Introduce the benefits associated with using your organisation and how this can support them to improve their ROI. Present evidence that you can support them to achieve improved efficiencies and cost savings by using your products or services. How do you integrate “SALES ENABLEMENT” into your Organisation? Sales is the – IMPLEMENTOR. They use the Sales Process, content, resources and information to engage buyers, keep adding value to them and to keep buyers interested during the buying process. To be effective “SALES ENABLEMENT” should become part of the corporate culture and it must be the mindset, which is on the forefront of every sales person’s mind, when they interact with customers (buyers). When organisations commit to introducing a “SALES ENABLEMENT” solution, there will be a very positive effect on sales revenue and the moral of your sales team. Remember that “SALES ENABLEMENT” is a function of everyone in your organisation. Once an organisation grasps this concept, they are on a path towards optimised sales performance and results. How to make your “SALES ENABLEMENT” Solution work? We need to develop a more strategic discovery process. Rather than focusing on a “content centric” discovery process, which focusses on products. Instead we need to develop a new “strategic” discovery process, which will support your sales professionals to get the exact information they need to begin to integrate into your customers businesses. What are your organisations profit goals? How can we work together to optimise your current returns? What challenges are you currently experiencing, regarding optimising the efficiency you manage to get from your current products or services? To support your sales team to remain focused and to help them to keep your customers engaged, as they move deals through your sales pipeline, we need to develop a set of checklists. The purpose of these checklists is to support your sales team to stay engaged and to support them to consistently follow-through until each deal is closed. These checklists are effectively a simplified outline of your predictable sales process and will serve as a practical support tool to help your sales team to remain focused, as they keep deals alive and customers engaged as they keep following-through, until they are closed. Your sales leadership team needs to be upskilled to support them to deliver effective sales coaching to your sales team. Weekly coaching sessions should be held for the duration of any sales training process, to ensure that each sales team member engages with and applies all the sales tools and techniques. The sales coaching is a supplemental and crucial process to support the implementation of all any sales training and to ensure that all your sales team members are telling the right story and asking the right strategic questions, when engaging with customers. Your “SALES ENABLEMENT” solution of little or no value, unless your sales team knows how to effectively utilise all the information, sales tools and sales processes provided within your “SALES ENABLEMENT” process. Specific and targeted training must be provided to your sales team to teach them how to utilise the tolls and systems contained in your sales enablement process. The sales leadership must take an active role in “COACHING” and supporting their sales team members, so that they can integrate and utilise your sales enablement tools and systems to become completely “BUYER” focused. A training regimen needs to be developed, which will support your sales team to implement your new “SALES ENABLEMENT” process. The new age of selling has introduced the need to work with customers towards a collaborative solution. The days of just showing-up with pretty brochures, a list of open-ended questions and a canned PowerPoint presentation are over. Thriving into the future requires a new approach, where sales professionals become business advisors and partners rather than mere vendors. Continuing to utilize the old way of selling, results in a quick race towards selling on price, rather than forming long-term mutually beneficial partnerships with customers, where you consistently add meaningful value to their organizations. An effective sales training solution will support the implementation of your new SALES ENABLEMENT” process and ensure that your sales team embraces all the new tools and resources it offers. To ensure that we get the most value from all SALES ENABLEMENT” process, and any sales training delivered, you need to measure and monitor the performance of your sales team. In other words, we need to measure and monitor the level of adoption of the new sales process by your sales team. There are a number of systems available to help with gathering the data needed. An effective system, which you could use is Gong.io or something similar, to measure and monitor the level of adoption and commitment towards the new sales process and story, which we want your sales team to deliver. We need a tool to measure and monitor the level of adoption by your sales team. This information will be invaluable to support your sales leadership to deliver effective sales coaching sessions to your sales team. It will also offer insight into how effective the sales training has been and will give us insight into which areas need more focus and support.